Burj Khalifa formerly known as Burj Dubai, is the world’s tallest skyscraper located in Dubai, United Arab Emirates, and the tallest man-made structure ever built, at 828 m (2,717 ft). 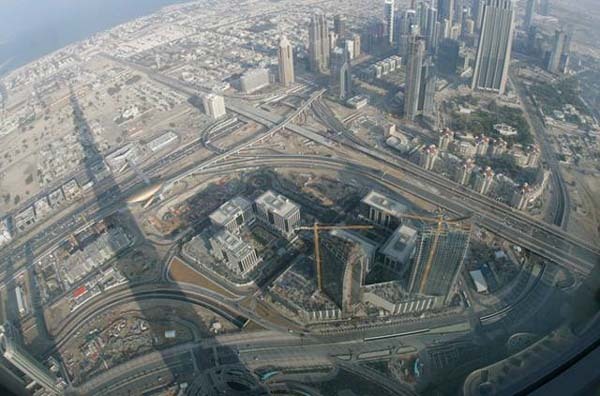 Construction began on 21 September 2004, with the exterior of the structure completed on 1 October 2009. 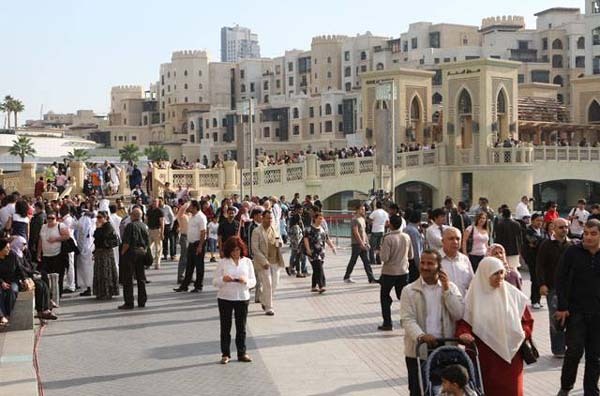 The building officially opened on 4 January 2010. 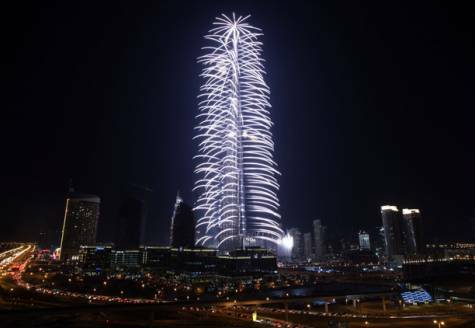 The world’s tallest tower, developed by Emaar Properties, was unveiled on January 4, 2010 to a crowd of more than 400,000 and the world in a crescendo of lasers, fountain displays and fireworks lit up the night sky. Fireworks cascaded from the tower’s spire to the base and lasers blazed out from all levels leaving the crowds awestruck. The height was disclosed in arithmetic progression, with the numbers being flashed onto the screen, one after another. 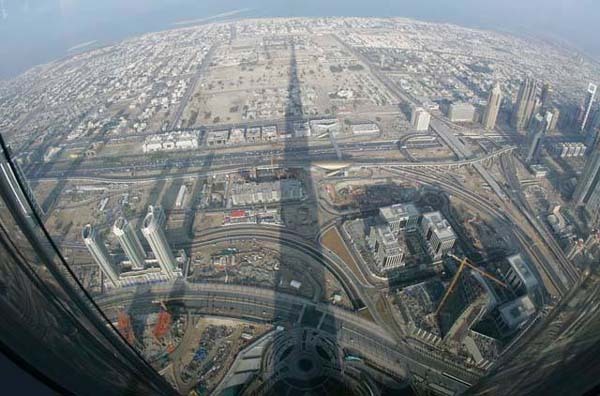 The tower’s height breaks all existing world records for tall buildings. 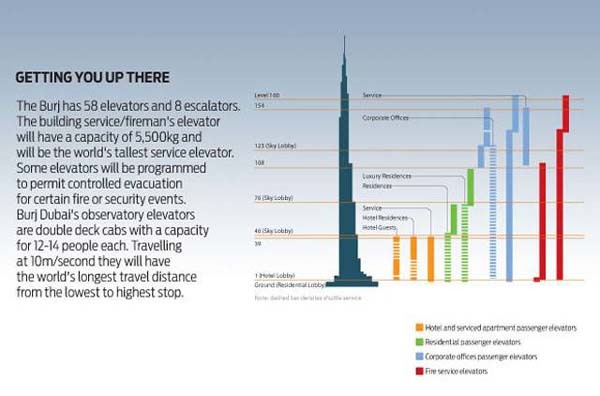 At 828 metres (2,716.5ft), Burj Khalifa is 320 metres taller than Taipei 101, which at 508 metres (1,667 ft) had held the record for the world’s tallest building measured to the architectural top since 2004, the year the project was announced. 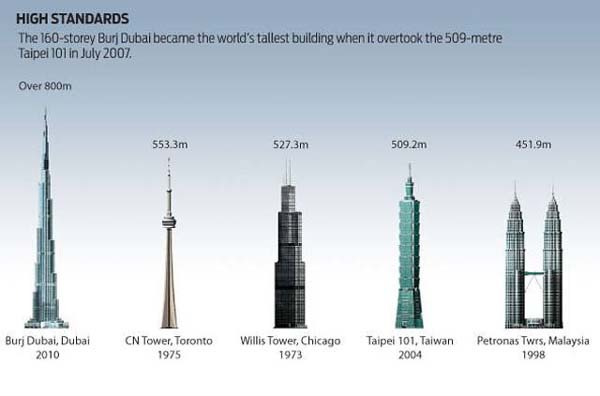 The tower also beats the 31-year-old record of CN Tower, which at 553.33 metres (1,815.5 ft) had been the world’s tallest free-standing structure on land since 1976. 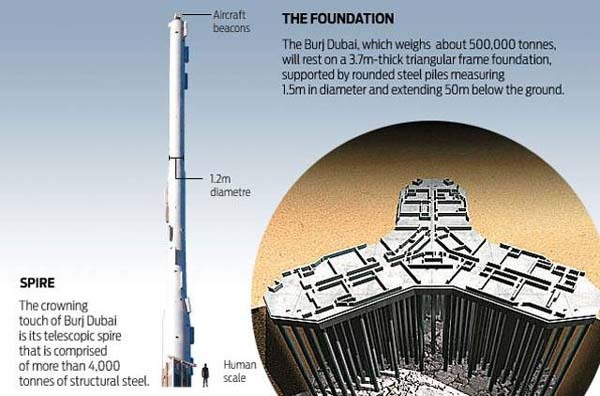 Burj Khalifa employs a record-breaking 330,000 cubic metres of concrete, 39,000 metric tonnes of steel rebar and 142,000 square metres of glass; and it took 22 million man hours to build. 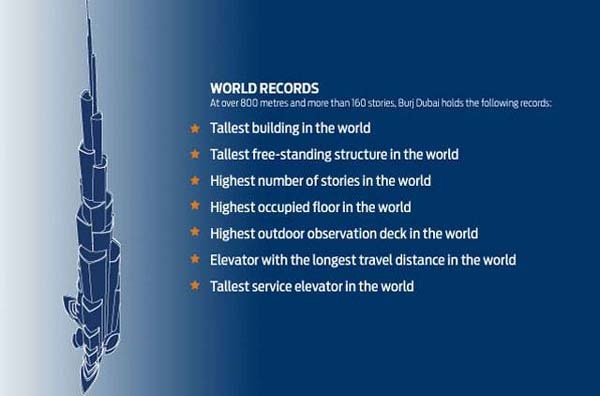 Other world records for Burj Khalifa include the highest occupied floor in the world, at over 550 metres (1,800 ft); the highest outdoor observation deck in the world – At the Top on Level 124 and the tallest service elevator, which travels to a height of 504 metres (1,654 ft). 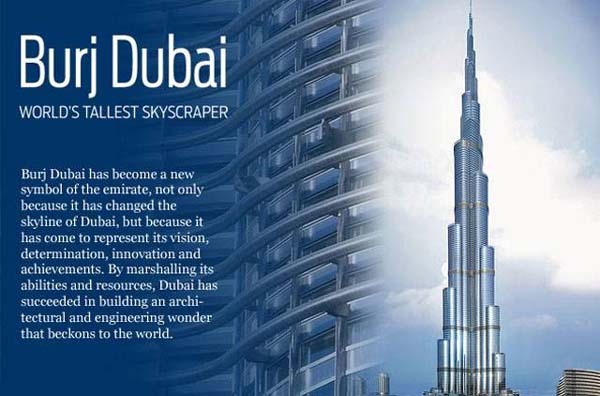 Mr. Mohamed Alabbar, Chairman, Emaar Properties, said that with the unveiling of the final height of Burj Khalifa, the world now had a new reference point for high-rise developments. 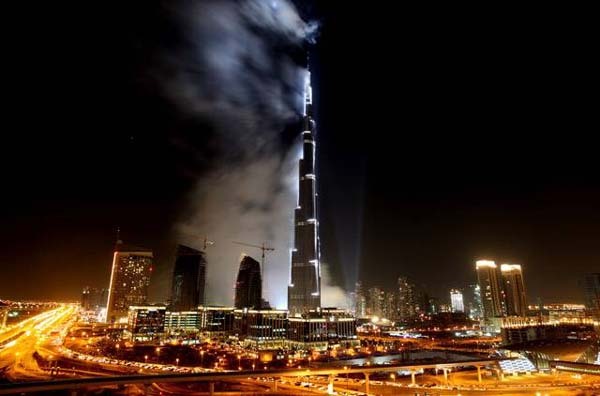 “More than 60 of the world’s leading consultants including South Korea ‘s Samsung Corporation and New York-based Turner Construction International realised the design for Burj Khalifa of Chicago-based Skidmore, Owings and Merrill (SOM),” he said. 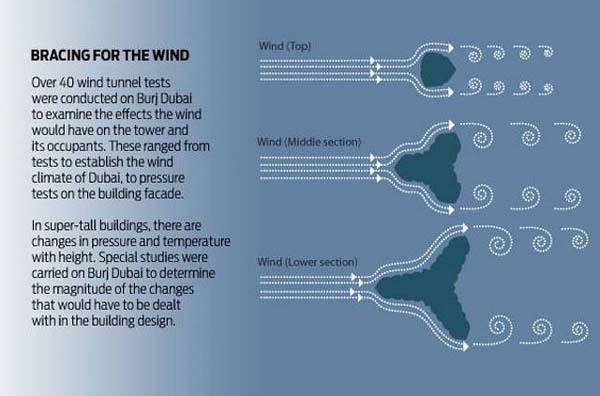 Burj Khalifa employed the latest advances in wind engineering, structural engineering, structural systems, construction materials and methods. 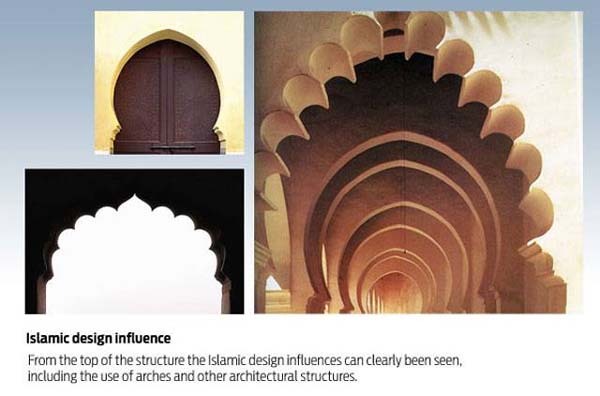 All design considerations took into account the 12,000 people who will live and work in the tower. 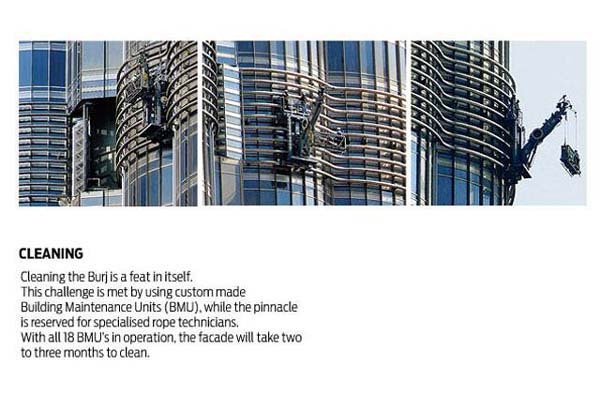 The handover to residents of the various components of Burj Khalifa will begin in February. 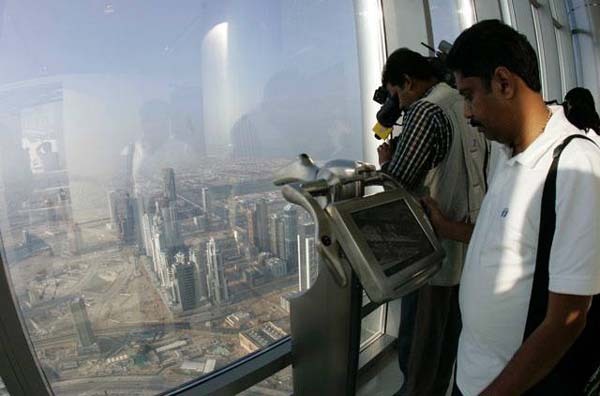 Burj Khalifa is the focal point of the 500-acre ‘mega-project’ by Emaar Properties, described as the new heart of Dubai . 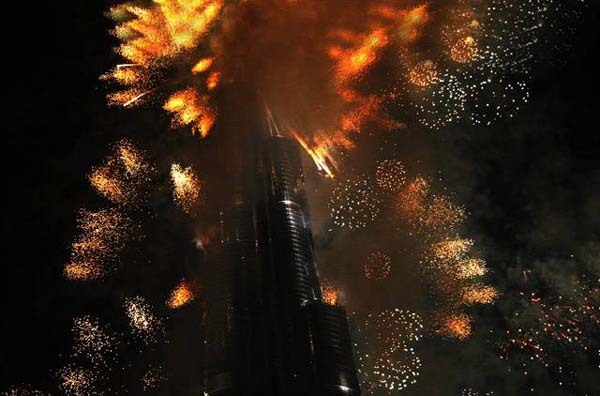 The entire inauguration show consists of a pre-show and three themed acts – From the Desert Flower to Burj Dubai, Heart Beat, and From Dubai & the UAE to the World – and a firework finale. 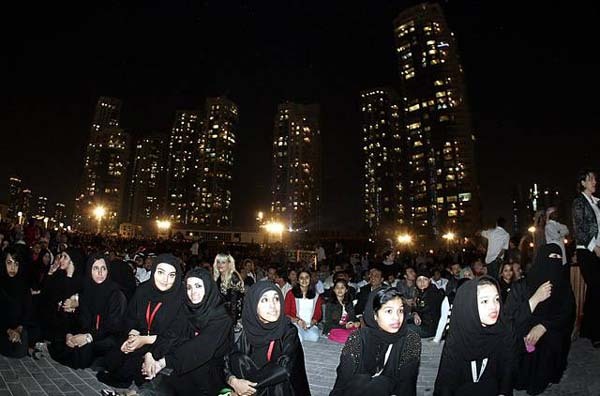 A giant screen on Burj Park Island, as well as several television screens placed across Downtown Burj Dubai including the Waterfront Promenade, will broadcast the inauguration in real-time. Hundreds of international media, including Dubai TV, will report live from the scene. 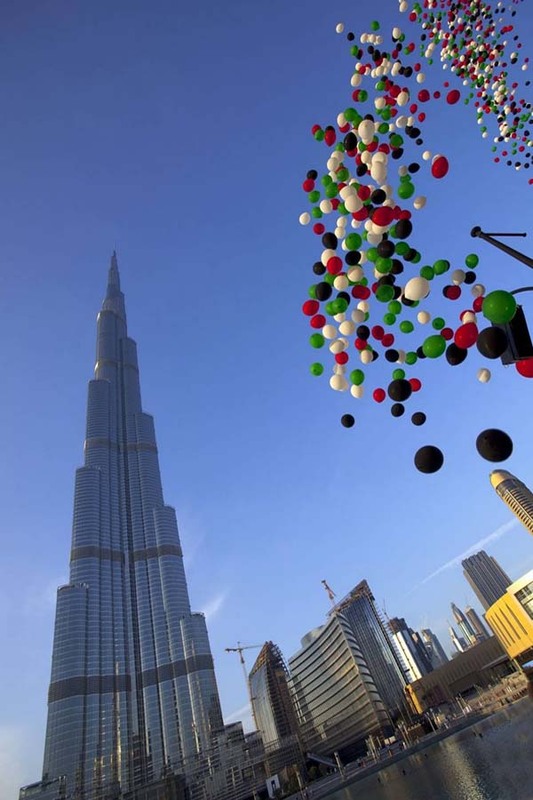 The inauguration performance begins with a short film which depicts the story of Dubai and the evolution of Burj Dubai as the world’s tallest building. A precisely choreographed sound, light, water and fireworks display then follows. 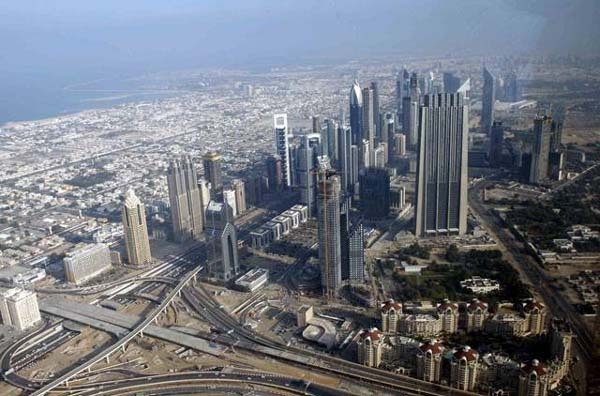 Ahmad Al Matrooshi, Managing Director, UAE, Emaar Properties, said that the performance would be unprecedented and symbolic of Burj Dubai’s pioneering status. A combination of dazzling fireworks, light beams, choreographed water displays, and sound & music effects will describe the evolution of the world’s most iconic new building in a breathtaking sensory journey. 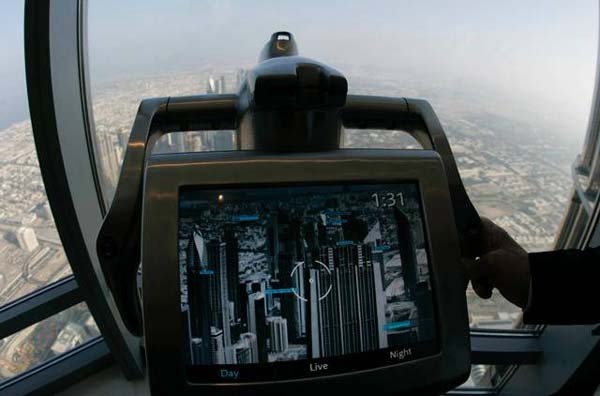 In all, 868 high-powered ‘stroboscope’ lights will be integrated into the facade of Burj Dubai and the tower’s spire – and each stroboscope will be fired individually to create a series of hypnotic lighting sequences. 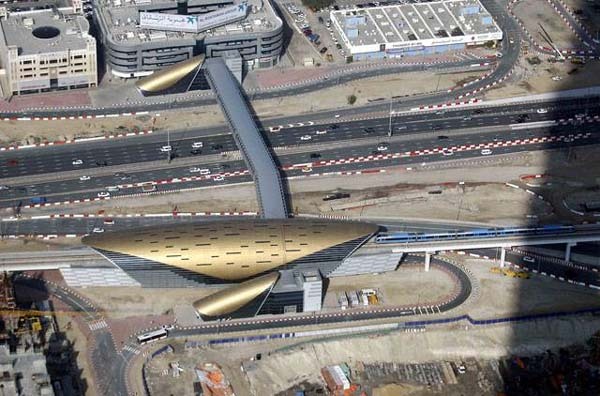 Event experts from France, Britain and the United States collaborated on the project, demonstrating the global spirit of teamwork which defines Burj Dubai itself. Powerful strobe lights will be fixed near the pinnacle of the tower, and six ‘narrow beam’ search lights will be positioned 700 metres up the tower. 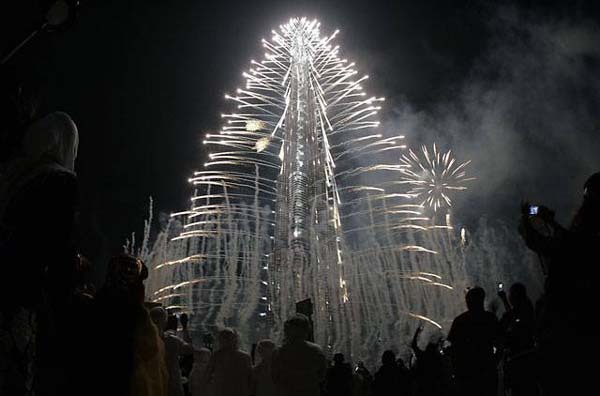 The first act in the light & sound show, themed ‘From the Desert Flower to Burj Dubai,’ is a co-ordinated water, light and firework display. 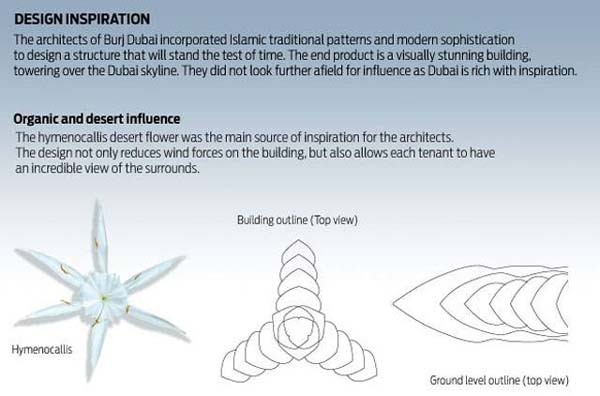 Guests can watch the unfolding of the desert lily, Hymenocallis, the design inspiration of Burj Dubai. The segment ends with a rhythmic water and fireworks show. The second act, ‘Heart Beat,’ captures the construction of the tower in a dynamic light show. An astonishing example of technological innovation, the display recreates the effect of a beating heart and uses no fewer than 300 ‘space canon projectors’ to generate a shadow-like image of the tower. 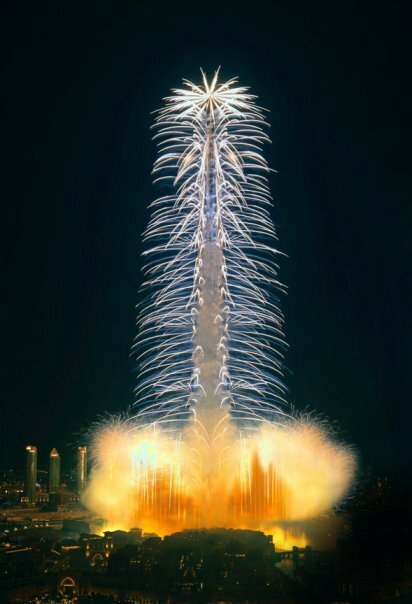 In the third act, ‘From Dubai and the UAE to the World,’ sky tracers and space canons envelop the tower in a strong halo of white light before reproducing the sun beams of the Emaar corporate logo. These then expand in all directions as the lighting rig on the tower’s spire activates. 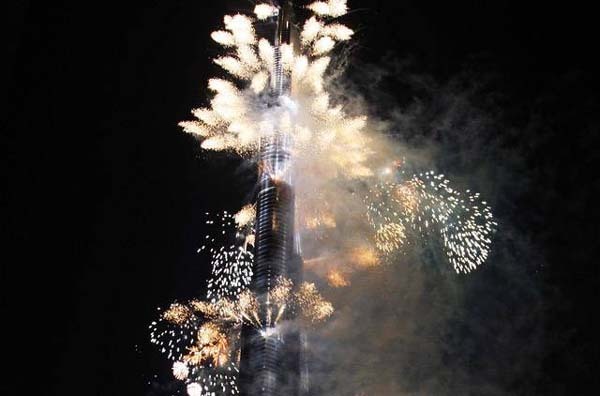 In its spectacular finale, the show will feature an impressive show of 10,000 firework effects on and from the tower, envisaged as the highest in the world. 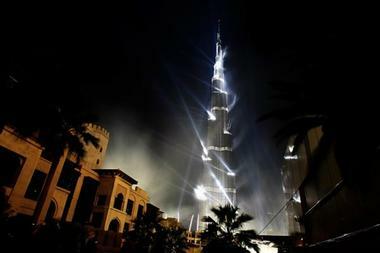 The sparkling display will illuminate the entire Downtown Burj Dubai area.